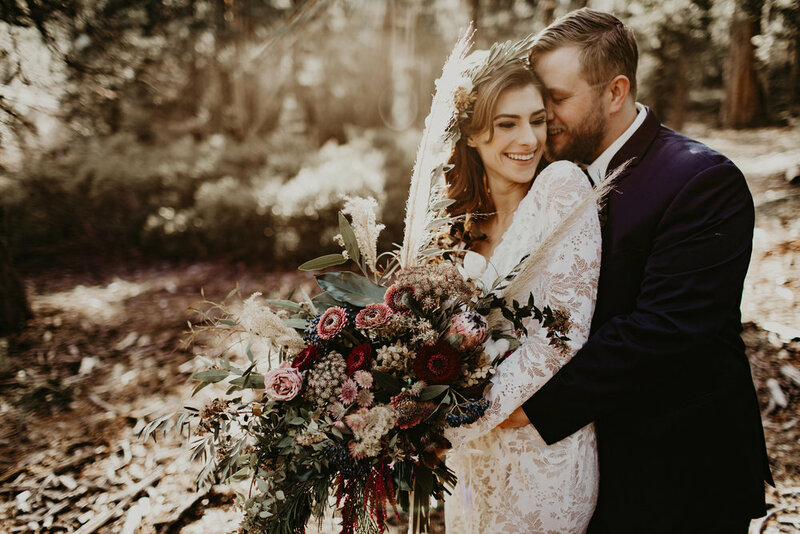 Sneakpeak: Winter Wonderland Styled Shoot — Wilder Events Co.
After an evening of frolicking in the woods and playing with the snow, these darlings cuddled together fueled by the warmth of the fire and their passionate love. Inspiration: We live in Northern California where you're only miles away from the beach, valley, and the mountains. We decided to shoot at Lake Tahoe because it brought together everything we love and represent: adventure, the wilderness, and of course, love and passion. We had a rad group of young, fierce female vendors, all with an incredible force of excitement, talent, and energy, which is evident through the photos. 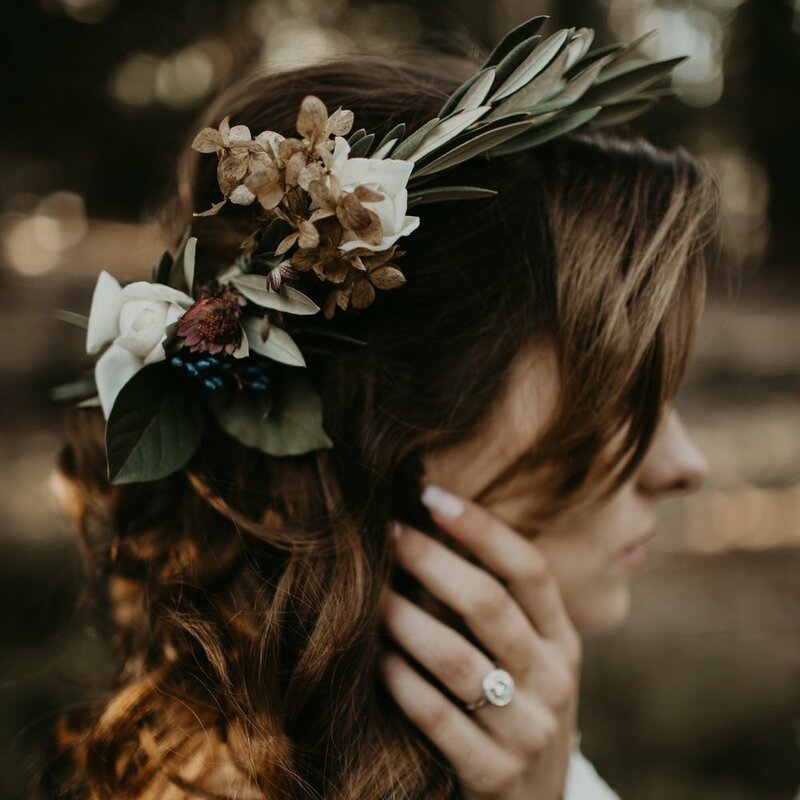 The concept for this elopement shoot began with wanting to invoke the pure bliss and romance of winter; calling upon memories of sitting by wood burning fires, frolicking through the woods, and holding those near and dear close to our hearts. We envisioned towering evergreens, snow paths, and moody-meets-simplistic and delicate, which was everything we got through our vendor's creations and the Granlibakken's venue space. The Fierce Ladies Behind It All: Katie from Flower Mama brought a beautiful bridal bouquet and archway piece, overflowing with local blooms and greenery, captivating the wild and passionate vision; while Charmaine from Rose Quartz Cakery brought the romance and simplicity with her towering wedding cake. Our models, who have been together for 4+ years, were naturals behind the camera and brought their pure love for each other and effervescent selves to the shoot, making it easy and REAL. 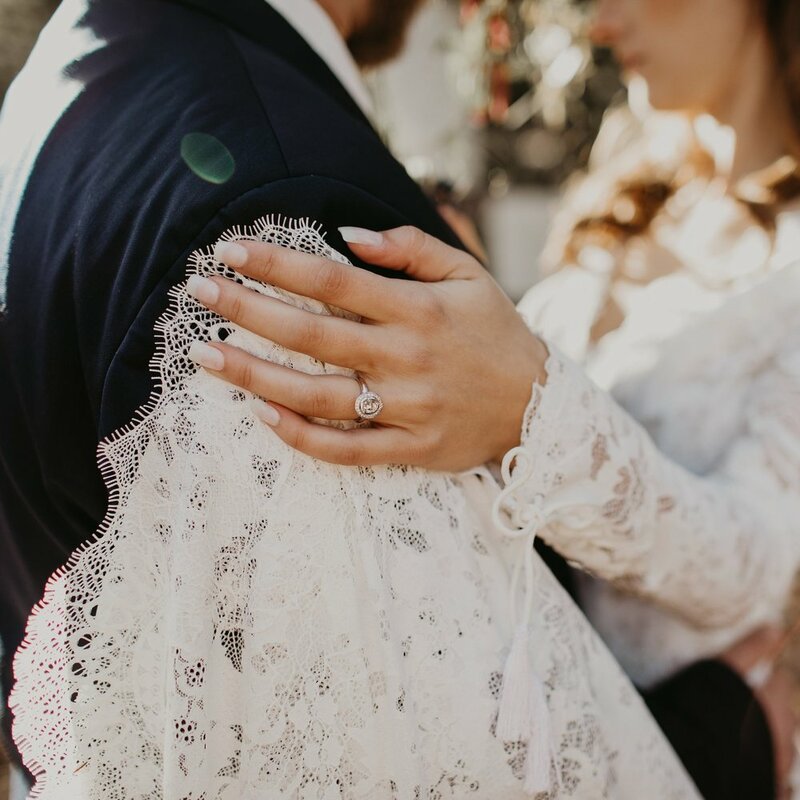 We almost forgot this was a styled shoot and not a real elopement! 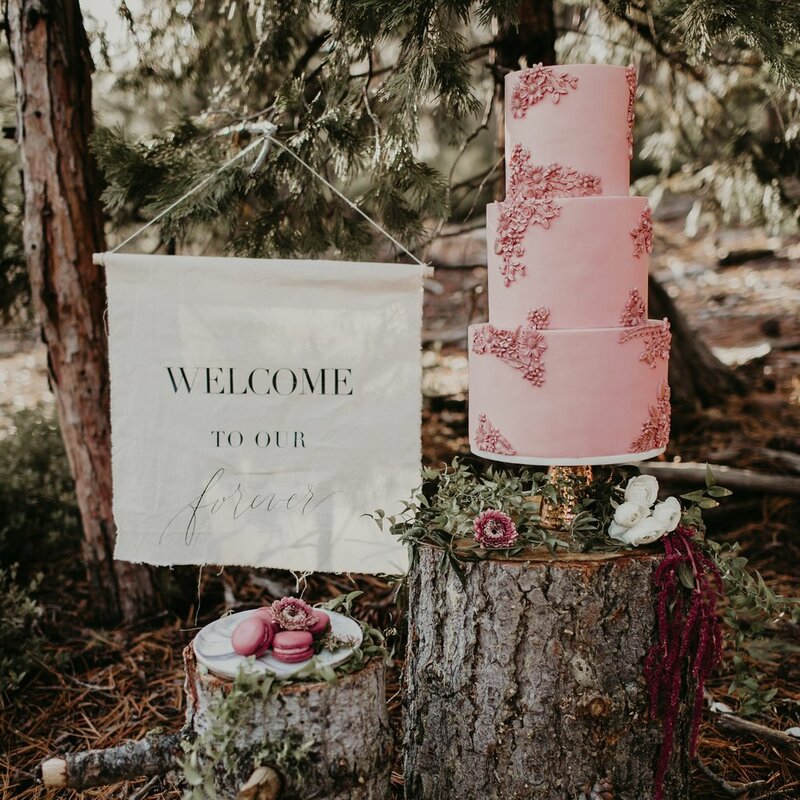 The details didn't just stop at the stunning cake either... we collaborated with Mimi from Fine Print Design Studio for some beautiful calligraphy work, and Angie from Chairs + Cups to provide the set with unique, modern dinnerware that brought everything to life! And finally with the sheer talent, creativity, and enthusiasm brought by our photographer, Charissa Cooper, our whole dream was perfectly captured. Charissa was wonderfully easy going, excited, and innovative, working directly with the models to produce pure magic!! The Process: So, what is the process of coordinating a styled shoot?, you might ask. Well here's the basic lowdown of our process (although, everyone's might be different). 1) Just the beginning — We begin every process with an idea, a word, a whole vision, or anything in between. It could be anything from: "old western/ frontier-esque", "sleek-industrial", "barefoot bride", to a color palette of cobalt, grey, and forest green. Sometimes it turns out exactly how we initially envisioned the shoot, sometimes it goes in whole new (but awesome!) directions. We like to get the ball rolling in a certain direction, but then love to give the vendors the freedom to contribute their ideas and creativity. 4) Tie it all together — These are the moments right before the shoot. 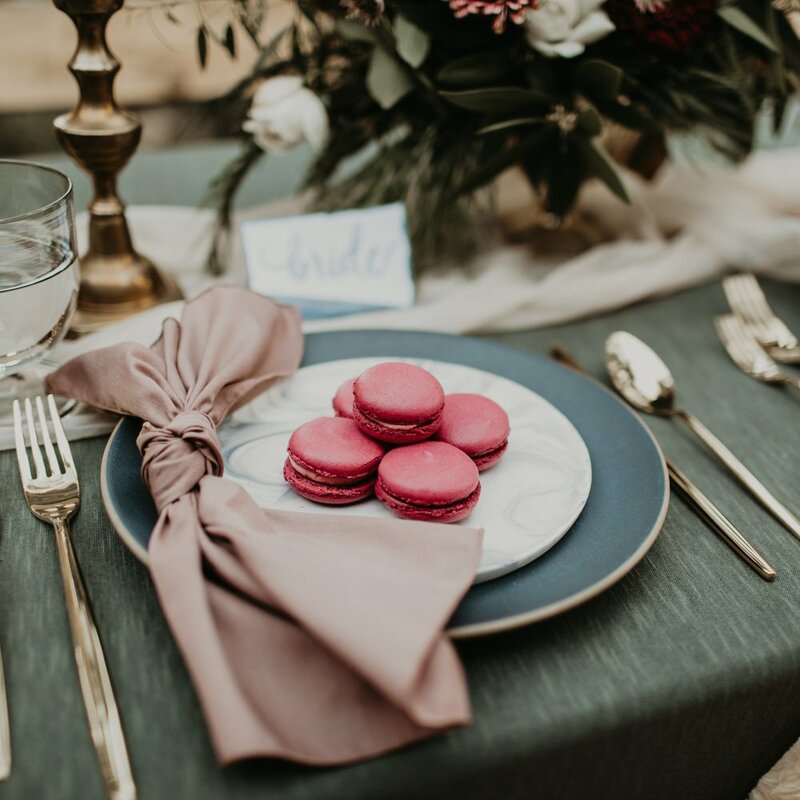 More times than not, we find ourselves scrambling last minute to fill a vendor spot that unexpectedly cancelled, get archway and reception materials like fabric or candles, or frantically emailing back-and-forth to make sure everything is ready to be set in motion. And always, ALWAYS, after the shoot we look at each other and just say, "Wow, how did that all happen?? ", as if some angel flew over and dropped us a miracle. Of course it actually does just take hours of hard work and collaboration, but we're always amazed at how it just "some how" comes out exactly like we imagined. A couple days before the shoot we'll email all of the vendors with a day-of shoot timeline, contact info, addresses, and begin collecting company info (emails, social media, websites). We learned early on that building a realistic timeline of events (including extra time for traffic if we move locations, break time, etc. ), especially with the assistance of our photographer who has a better idea of lighting, is the best way to make a seamless shoot day. For reference, if we start shooting at 3:30p, we will arrive around 1:30p to scope the location and begin designing. 5) Finale — Not much to say, but that the vendors we work with wave their magical wands and everything comes to LIFE!! Usually the models, hair and make-up artist, florist, and Us will arrive to the space first to set up and get started, followed by the photographer and other vendors who want to be present. Depending on the lighting and location we'll start with shots of the reception table(s), bouquet, and other details while the "bride" and "groom" continue to get ready, before moving on to ceremony and couple shots. All of a sudden a couple hours fly by while we're obsessing over everything going on on set, and everything is wrapped up. Smiles beaming on our faces, we hug each other (and sometimes cry of happiness) and part ways.